Amy has been with Flatiron Functional Medicine since 2011. Previously she worked in dental for 18 years and began in medical after a 5 year hiatus while spending the time raising three teenagers. She is a Colorado native and loves living here. She enjoys a variety of activities including scrapbooking, quilting and riding her motorcycle. Also outdoor activities and the mountains. Melissa has been with Flatiron Functional Medicine since October 2016. She has a degree in library informatics from Northern Kentucky University. She spends her spare time reading and hanging out with her rescued Maltese, Maggie. Natalie is the newest member at Flatiron Functional Medicine, starting in February 2019. She is a recent graduate of the University of Findlay in Ohio where she earned a Bachelor’s of Science Degree in Wellness and Exercise Promotion and played DII lacrosse. She is passionate about total body wellness and believes it is important to work on all domains of health, not just physical. When she is not at work, Natalie enjoys playing and watching sports, cooking, and spending time with her friends and family. Monika has been with Flatiron Functional Medicine since November 2017. She graduated from the University of Colorado – Boulder in 2018 with a degree in Political Science and Government. Monika loves skiing, traveling, the San Francisco Giants, spending time in the mountains, and her soft-coated wheaten terrier, Stella. She is enthusiastic about integrative medicine for both the health of others and for the health of the Earth. Nicole is the newest member of the FFM team. She graduated from Naropa University in 2015, with a Bachelor’s Degree in Contemplative Psychology with a focus on Health and Healing. She is passionate about health and alternative medicine, as a result of her own journey with health problems. Kate has been with Flatiron Functional Medicine since 2014 and is passionate about inspiring others. In addition to nutrition and wellness, Katie loves camping, coffee, reading, and drawing. She recently left the FFM office environment to start her own business and is now working part-time as Dr. Jill’s Executive Assistant. 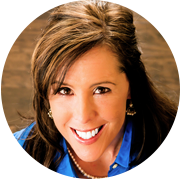 Dr. Jill is Your Functional Medicine Expert! She uses functional medicine to help you find answers to the cause of your illness and addresses the biochemical imbalances that may be making you feel ill.
She’ll help you search for underlying triggers contributing to your illness through cutting edge lab testing and tailor the intervention to your specific needs as an individual.